A robust new metering framework to improve the standard and coverage of non-urban water meters across NSW commenced on 1 December 2018. The NSW government committed to this framework under the Water Reform Action Plan. The policy explains the requirements of the new framework. The Act and regulation give legal effect to the new framework. 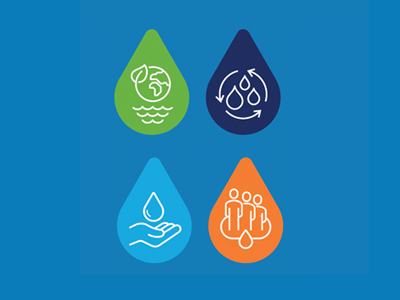 The fact sheet 'New requirements begin from 1 April 2019 (PDF 307.5 KB)' provides more information about what these requirements mean for water users. When do the rest of the requirements start? The metering framework is being rolled out in a staged manner over five years. The next stage commences on 1 December 2019, when all surface water pumps 500mm and above will need to have a meter that meets the new standards. Water users who are required to comply with these requirements will be contacted by the department well in advance to ensure they are prepared before the roll out date. A metering tool to help water users work out whether they need a meter and what meter standards apply will be available here soon. New requirements begin on 1 April 2019 (PDF 307.5 KB) – this fact sheet provides information about the metering requirements that commenced 1 April 2019, including new and replacement meters, faulty meters and inactive works. The Murray–Darling Basin Authority (MDBA) has published a list of pattern approved 'non-urban' water meters. Water users must use a duly qualified person to carry out certain work in relation to their metering equipment, including meter installation, certain maintenance requirements, validation and checking the accuracy of an existing meter. A duly qualified person is a person with the qualifications, skills or expertise to work on metering equipment, as specified in clause 236 of the regulation. A summary of the qualifications, skills or experience required by duly qualified persons is in Attachment E of the policy. to validate a meter: Non-urban water meter validation certificate. to certify the design of metering equipment for an open channel: Non-urban water meter - design certificate for open channel metering equipment. Duly qualified persons must give the completed certificate to the person for whom the work is done. Water users must provide a copy of the completed certificate to Department of Industry, using the address shown on the certificate within 28 days of receiving it and must keep the certificate for 5 years. Offences apply for duly qualified persons and water users who do not comply with the requirements. How do I find a duly qualified person? To find a certified meter installer in your region, go to Irrigation Australia. To find a certified practising hydrographer, go to the Australian Hydrographers Association. The Maintenance Specifications 2019 set out the maintenance that needs to be carried out in relation to metering equipment, the frequency of maintenance and whether the maintenance needs to be carried out by a duly qualified person or if it can be carried out by the holder of the approval or licence. These specifications apply to all meters that are subject to the new metering conditions. The specifications have been updated to clarify that the maintenance requirements for open channel meters are to be carried out every 12 months or more frequently to ensure that metering equipment is operating accurately and correctly. Users with surface water pumps 500mm and above, and users who install a new or replacement meter on a surface water work (except pumps less than 200mm) need to be telemetry compliant by 1 December 2019. All other users with surface water works (except pumps less than 200mm) need to be telemetry compliant by the regional roll-out date. Government has published mandatory data logging and telemetry specifications. If you are required to install a meter with a data logger or telemetry, it must comply with these specifications. The data logging and telemetry specifications (PDF 148.8 KB) set out the requirements for collecting, recording storing and transmitting data. They make the necessary capabilities of metering equipment clear for you, meter and telemetry providers, and duly qualified persons. More information about telemetry and the Data Logging and Telemetry Specifications 2019 is now available. From 1 April 2019, water users must report faulty metering equipment within 24 hours to WaterNSW. It is an offence for water users to fail to report. The fact sheet 'New requirements begin on 1 April 2019 (PDF 307.5 KB)' contains more information about the new process. WaterNSW is responsible for information about customer servicing and WaterNSW licensing, faulty meters, billing (including one or two-part tariff) and trading. The Farm Innovation Fund is an incentive-based initiative to help NSW farmers. The fund provides loans to meet the cost of carrying out permanent capital works, including metering infrastructure, that will benefit the land and the long-term profitability of the business. Visit the Farm Innovation Fund website for more information. The NSW Government is committed to metering actions under the Murray–Darling Basin Compliance Compact. Further information on how the new framework meets these commitments will be available here soon. The MDBA has published a first list of pattern approved 'non-urban' water meters. The Natural Resources Access Regulator (NRAR) is responsible for compliance and enforcement of water laws in NSW. The Metering regulations - NRAR compliance approach outlines NRAR's compliance approach in relation to the new metering requirements. The plan will help to deliver on our responsibility to the people of NSW and ensure we have an equitable and transparent approach to the management of our water for future generations.